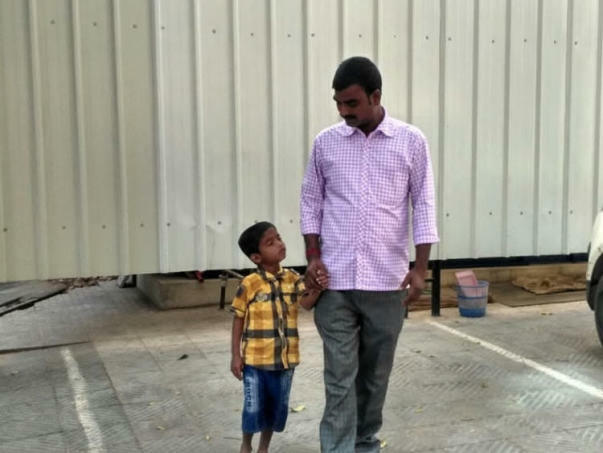 Mohan Gundrathi is unable to talk about his son's health without breaking down in sobs. It is the plight of a father who sees his children suffering terribly every day. 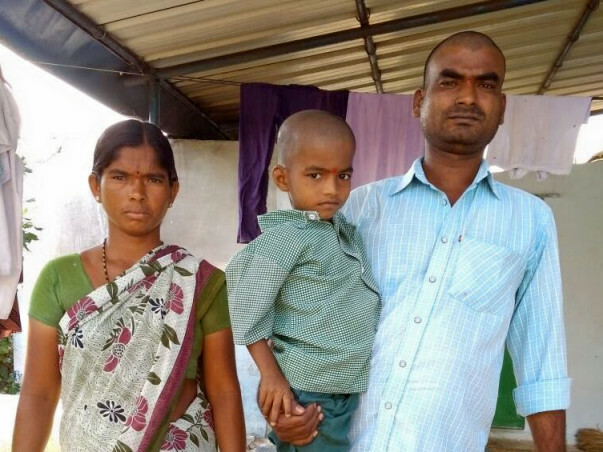 Just two months after he was born, Narsimha - Mohan’s son, was rushed to the hospital because he couldn’t breathe. He didn't have enough blood in his body and needed a transfusion. Narsimha was born deaf and mute. While his blood disorder is the biggest concern of the family, his inability to express pain and suffering make it worse. He has Thalassemia Major - a condition where his body produces abnormal blood that can't absorb enough oxygen. It is a condition where his only chance for survival is taking new blood regularly - which is very harsh on the body's organs. His first transfusion gave him strength for about 40 days before the fatigue, dizziness and extreme weakness surfaced again. Over the past 6 years, his condition has worsened from needing transfusions once every 40 days, to once every 15. Mohan and his wife have brought Narsimha to Hyderabad for further treatment. The only cure is a bone-marrow transplant. Narsimha doesn’t even have the strength to keep playing or stay active. Thalassemia wears him out every three days. He just sits in a corner of the house - quiet - unable to hear, speak or move. This breaks his parents' heart and they desperately wish they could change it and rewrite the deal life has given their child. 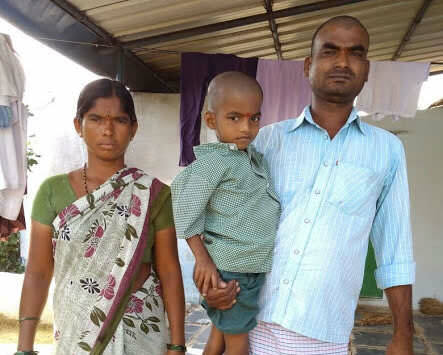 Mohan and his wife both are daily wage laborers in Nandyal, Andhra Pradesh. Together they make up to Rs 300 per day. It is barely enough to sustain their living. Added to the poverty is the suffering that they watch their children endure. Even in this hand-to-mouth income, they have to save something for their children's medical needs. Over the years - that is getting very hard. 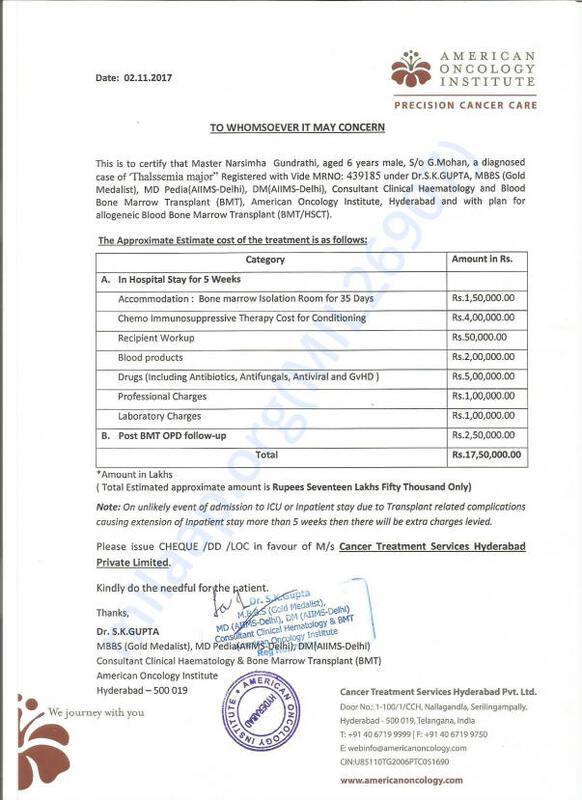 The staggering medical bills are too much for the couple to bear while looking after their children. Their daughter Narmada is physically deformed and can’t walk or move on her own. She is also deaf and mute, like Narsimha. Both the children are completely dependant on their parents for everything. They can't afford Narsimha's treatment anymore, but the hope of seeing their son healthy and fit, keeps them going. Their children's health gives both parents nightmares and they really deserve some happiness after everything they have been through. Their son has a chance of getting better, but lack of money is stopping them from realizing this dream. Let Mohan’s poverty not claim the life of his innocent son. 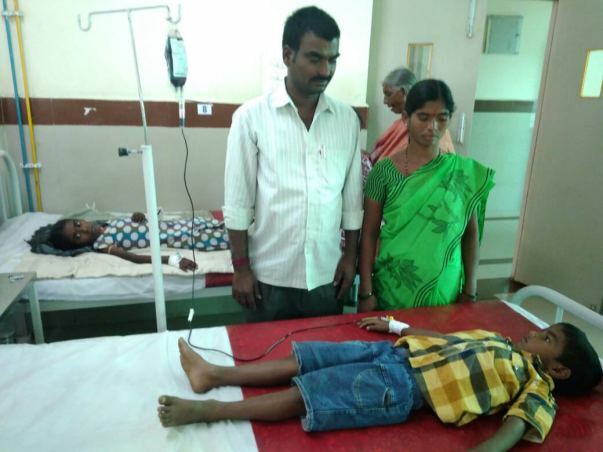 Let’s contribute to give Narsimha, a second shot at a happy childhood.e needs our help to save his son. Your contribution can save Mohan's life and give him the treatment he deserves.